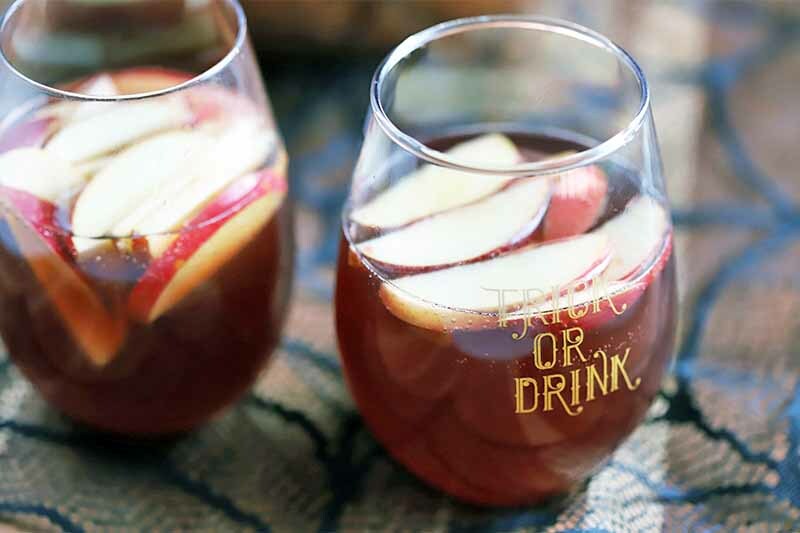 Your festive gathering is about to get a whole lot more tasty when you serve a Kirsche Colabierbowle (Cherry Cola Beer Punch). The unusual combination of cola and beer is a German classic that is surprisingly flavorful and refreshing. It’s the boozy beverage everyone will want a sip of. Get the recipe now on Foodal. Want to upgrade your bagel game? 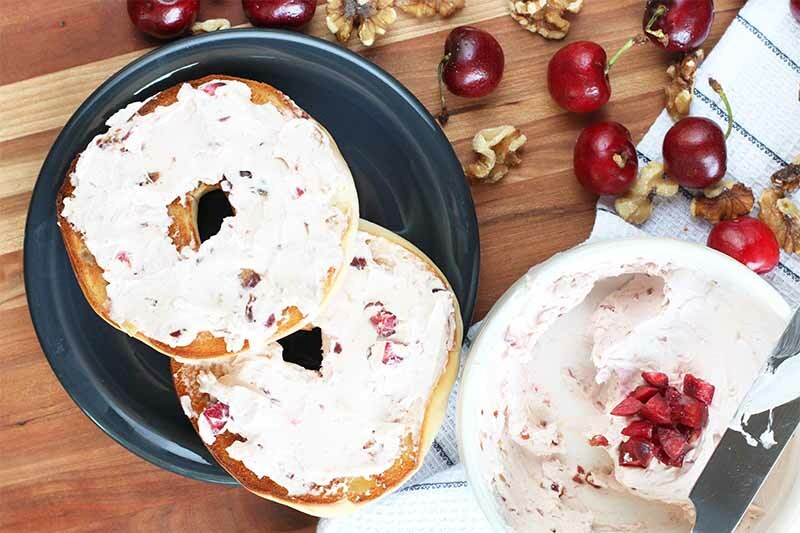 Celebrate cherry season with this sweet and tangy spread, made with fresh fruit. The combination of cream cheese, fresh cherries, crunchy walnuts, chewy dates, and tart cherry juice creates a spread that is so memorable, you’ll want to make it every year. Get the recipe now on Foodal. 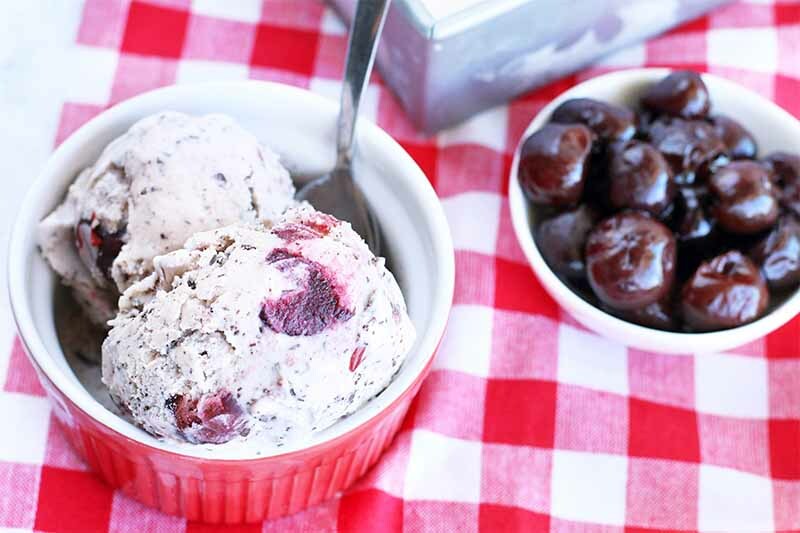 To celebrate the sweetness of cherry season or to cool off on a hot day, try this homemade ice cream. 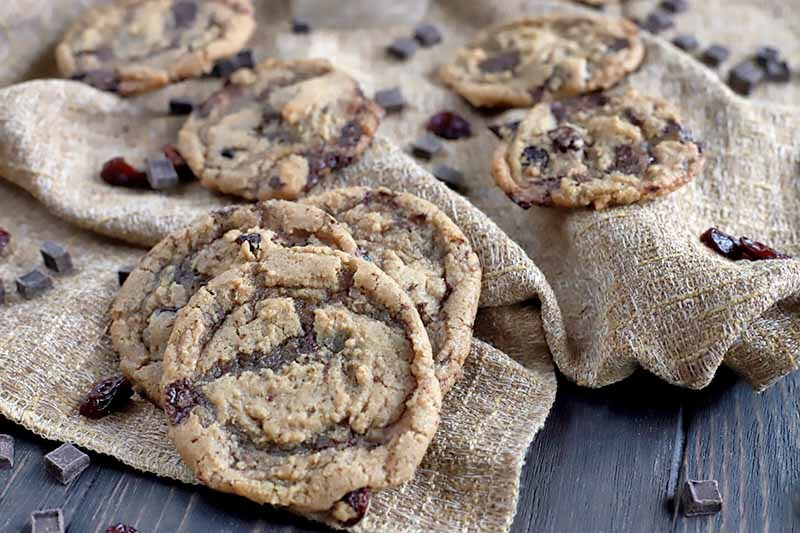 Packed with fresh fruit and chocolate bits, with a cherry-infused syrup, you’ll savor each delicious spoonful. Get the recipe now on Foodal, and learn how easy it is to make your own seasonal frozen dessert at home. 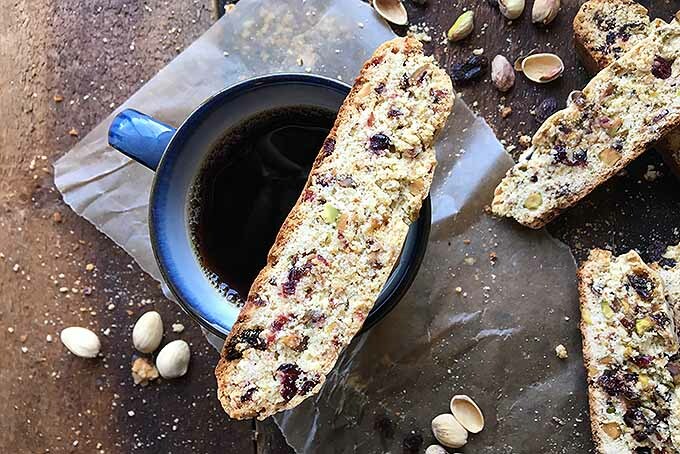 Make your biscotti something extra special with ingredients like dried cherries, raisins, and nutty pistachios! Accompanied by a hot cup of coffee or covered in melted chocolate, these colorful treats can be enjoyed in so many tasty ways. Follow our easy recipe, and make this sweet Italian specialty in your home. Now on Foodal! 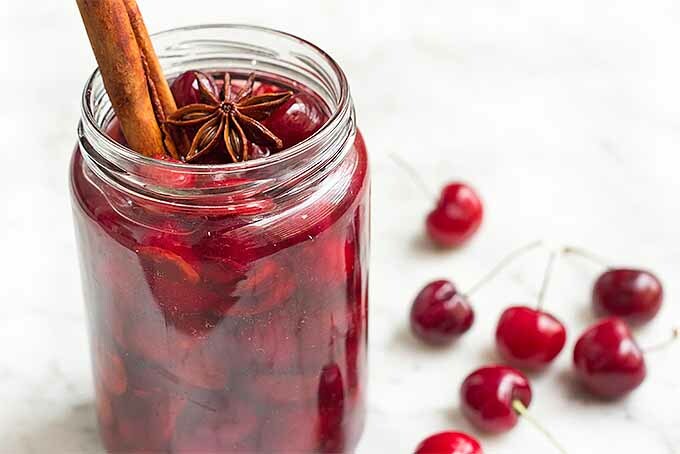 Do you know how easy it is to make your own maraschino cherries? This alcohol-free recipe is not only quick and simple, but these also taste so much better than the store-bought ones. You can be sure that your guests will be impressed! 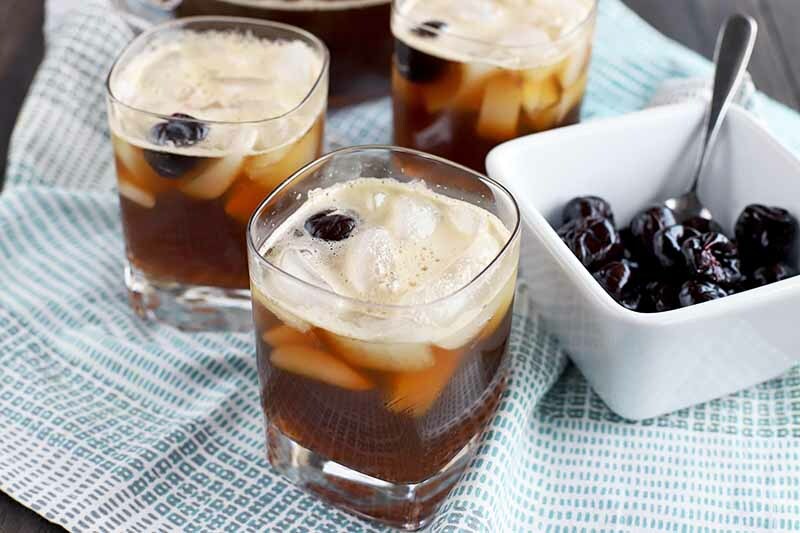 Get the recipe on Foodal now, and make your own maraschino cherries today! 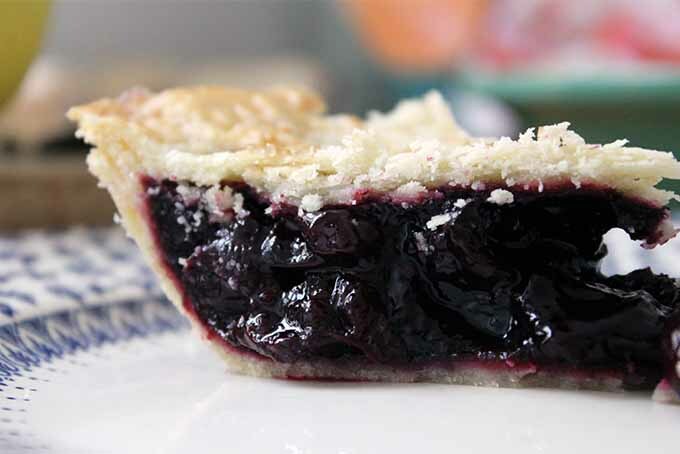 There’s no better way to use an abundance of just-harvested tart cherries than in a tasty pie. Our version uses white balsamic vinegar for acid and arrowroot powder to thicken. Because the filling is cooked first on the stove, it bakes quickly on those warm days when you want to limit your oven use! Read on to learn more, and to get the recipe on Foodal. 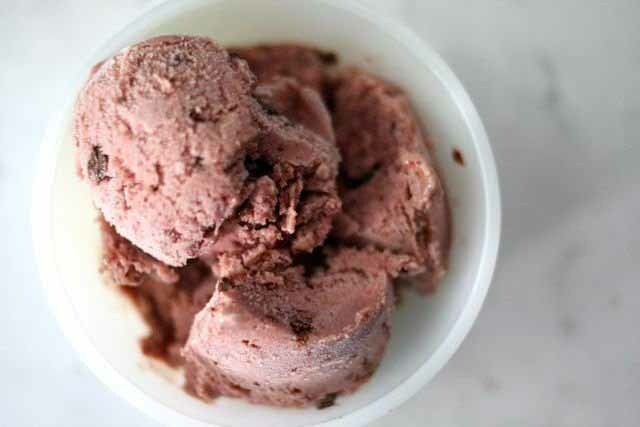 This super tasty frozen treat starts with a base of coconut milk and has a taste that’s so addictive, sweet and tart and plump with homemade chocolate chunks, once we put some in the freezer, you can count on me to keep returning to it until it’s gone.